Bump, everything will be priced to move! What's the price on the quad by with Thomas/Griffey Jr.? Thanks for the list. Interested in the Wright AU and the Pache Debut Red /10. Have a scan of that by chance? Out of my price range right now thanks. Nice thanks. Can use that. Still can use the Wright AU and Pache. 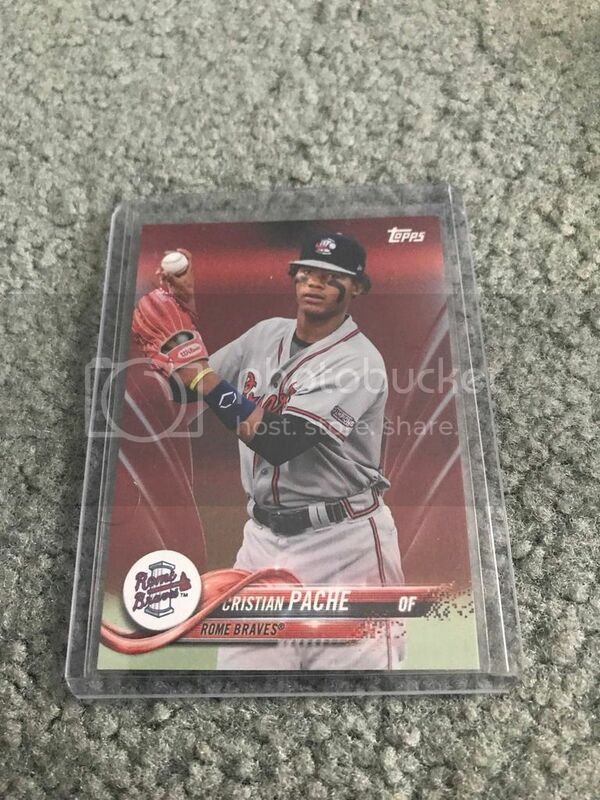 Based on the only comps I can find of comparable Pache cards I think I'd prefer to hold that one for now. I would do $7.50 delivered in a bubble mailer for the Kyle Wright, or $5.50 in PWE. how much for the baines auto? I'll do the Wright in PWE.